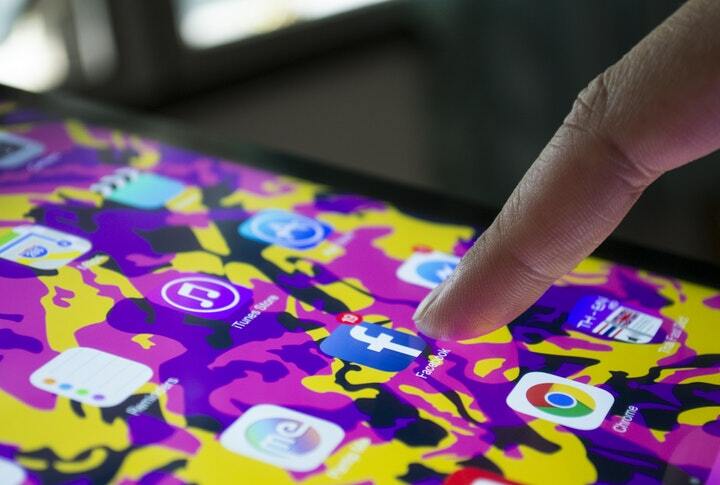 The Objective of This Guide is to set up an effective, scalable Facebook Campaign to Promote your Website content for the purposes of building Custom Audiences from the Web Visitors. This guide is current as of March 2018. 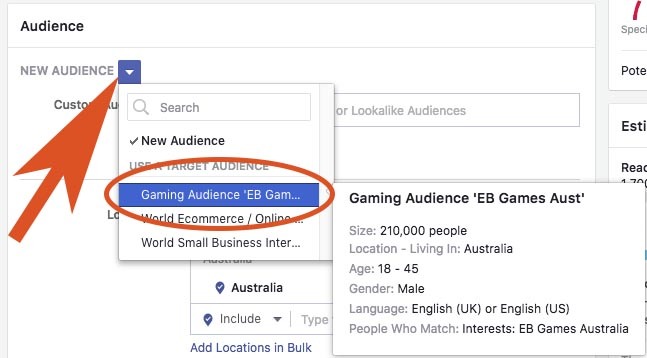 There are many varying methods for the effective testing and optimisation of Facebook Campaigns. 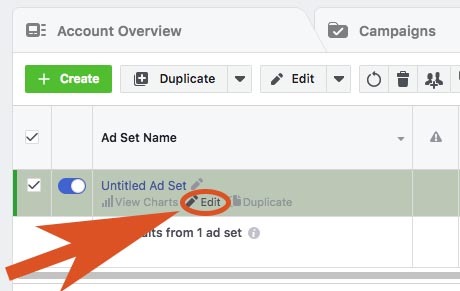 They most often involve splitting targeting between ads sets and the duplication of ads to vary elements of your ad creative. 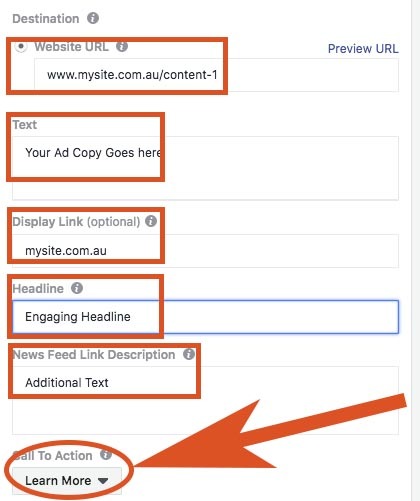 In the interests of simplicity, in this guide we will stick to a simple 1 Campaign / 1 Ad set / 1 Ad structure, leaving any duplication of ads and ad sets for the purposes of testing and optimisation for another day. 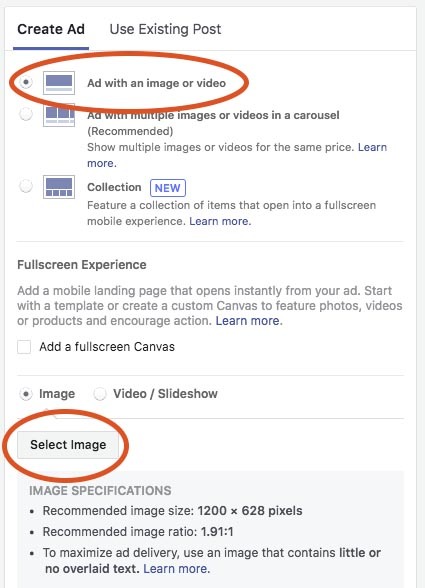 In future guides we will cover methods of testing, optimisation and scaling, including Facebook’s features of SPLIT TESTING and DYNAMIC CREATIVE. 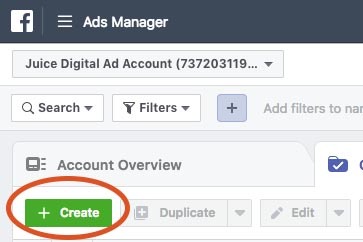 In Facebook Business Manager, Click on the Top Menu, Click on ALL TOOLS, Then under CREATE & MANAGE, click on ADS MANAGER. 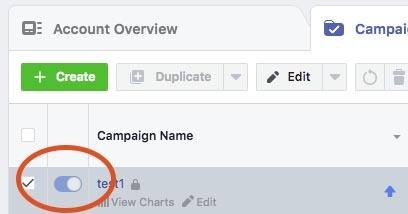 You should be viewing the CAMPAIGNS tab with your recently created campaign at the top of the list. 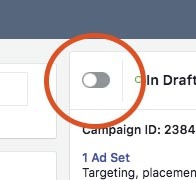 Click on it to go to the Ad Set. 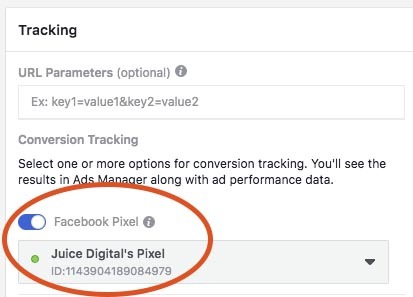 Under TRACKING, turn on the FACEBOOK PIXEL button and Select your pixel from the list. 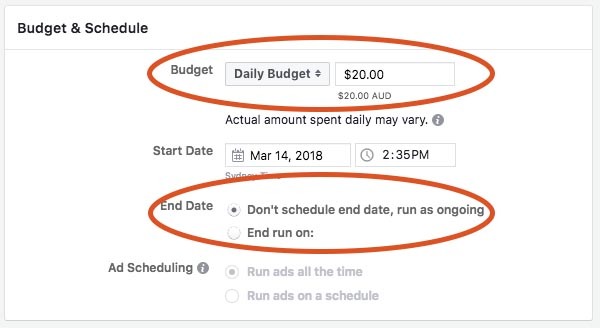 Close the Ad window and return to the Main Ads Manager screen. 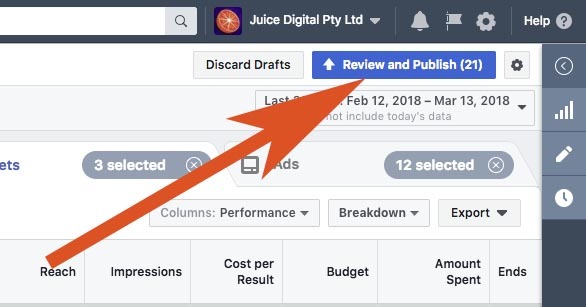 Your campaign will now be pending review – Normally it will be reviewed by Facebook and approved and running within an hour or two. You will receive a notification once your ad is up and running.